Dr. Kim LaGraize Bent is a native of New Orleans and is a graduate of Ursuline Academy in New Orleans, LA. She received her Bachelor of Arts degree in Psychology from Boston College in Boston, MA and graduated from LSU School of Dentistry with the degree Doctor of Dental Surgery. Dr. Bent has been practicing dentistry in the New Orleans metropolitan area for over 15 years. Dr. Bent maintains a practice that is up to date with advanced technology including digital x-rays and performs general cosmetic dentistry including whitening, resin fillings, porcelain veneers, crowns, bridges, implant crowns, dentures and the profile prosthesis. 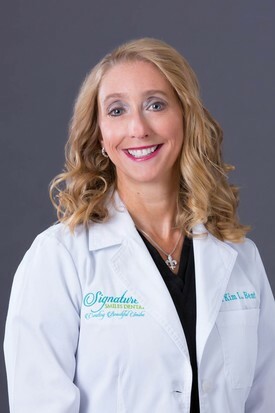 She is a dedicated dentist who regularly attends continuing education seminars in order to provide the most current procedures and techniques to her patients. Dr. Bent is a member of the American Dental Association, Louisiana Dental Association and New Orleans Dental Association. She currently resides in Lakeview with her husband and two children. Dr. Vy Phuong Nguyen is a graduate of the University of New Orleans where she received a Bachelor of Science in Biology. She attended LSU School of Dentistry and earned her degree of Doctor of Dental Surgery. She originally is from Morgan City, Louisiana, but moved to New Orleans as a young child. Dr. Nguyen believes in quality, comprehensive dental care and strives to provide the best work for all of her patients. Community service is very important to Dr. Nguyen, and you can find her doing volunteer work throughout the year. 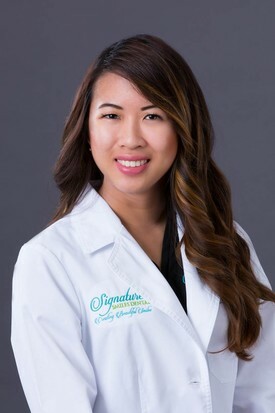 During her free time, Dr. Nguyen enjoys exploring the streets of New Orleans and trying new restaurants. She also loves outdoor activities such as hiking, picnicking, and going to festivals. She is currently engaged to her fiancé of eight years and will be married in 2018.